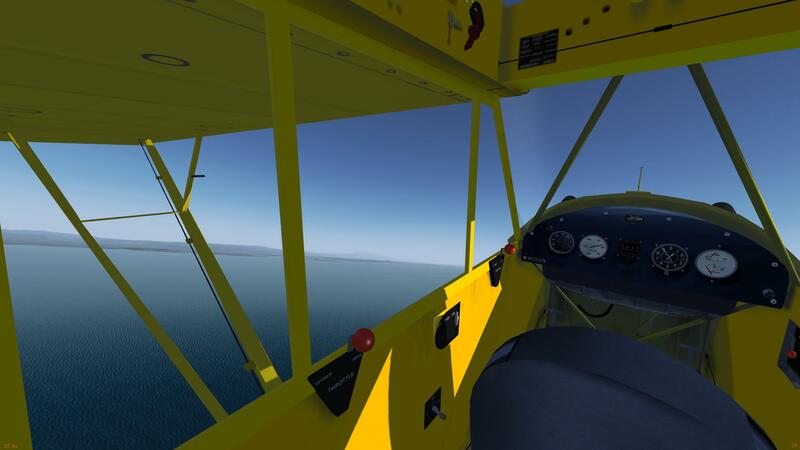 FlightGear forum • View topic - The Cub on ALS. Or maybe Rembrandt? The Cub on ALS. Or maybe Rembrandt? No fancy story or flying skills, I even left the pilot door open! But hopefully that's ok.
Re: The Cub on ALS. Or maybe Rembrandt? Oooh - nice! How is performance affected compared to standard ALS? It's still experimental, but I measured around 6ms/8ms spent on shadows, which is not bad considering how expensive cascaded shadow mapping is. With multithreading enabled you could maybe squeeze a few ms (2-3ms). It also depends on scene complexity: random buildings are considered for the shadow map and have to be culled, which increases the cull time for each cascade a lot. That could be solved by not rendering them at all. OH MY GOD!! I CANT BELIEVE YOU COULD MAKE IT!! THAT LOOKS SOO AWESOME!!!!!!!!!!!!!!!!! Yep - according to the post above it takes about 8ms more per frame. So if you have 30 fps that is 1/30 ms or about 33 ms. Another 8 brings it to 41 ms -- 1 / 0.041 = 24. So it would lower 30fps to 24fps -- well worth it I think! Did you have to do anything special to eliminate the existing ALS shadow cube shader, IE did you simply have to use the "Rembrandt" flag? I can't remember the last time I even tried using default renderer or Rembrandt. My bad, this isn't Rembrandt. It was a joke referring to the shadows. This is all based around the compositor using existing ALS shaders. So you eliminated the existing ALS shadow cube shader, how? I'm just curious how much xml code reconfiguration you had to deal with, if any? 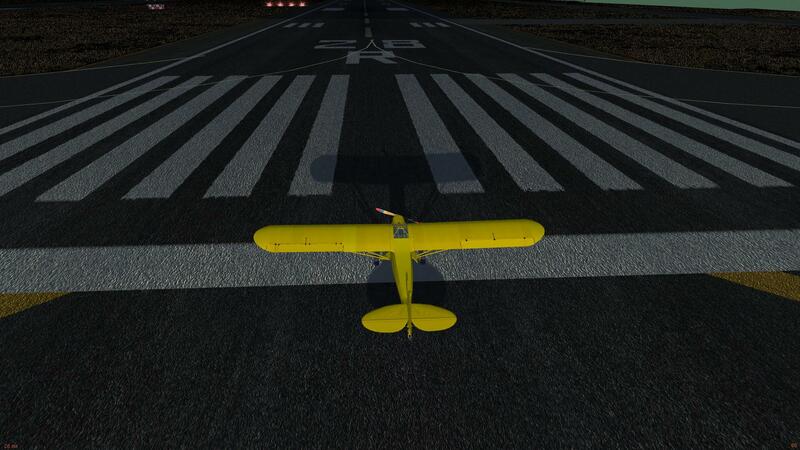 Does this shadow then translate and rotate correctly across all object surfaces in the cockpit, ie: knobs sliders, etc? 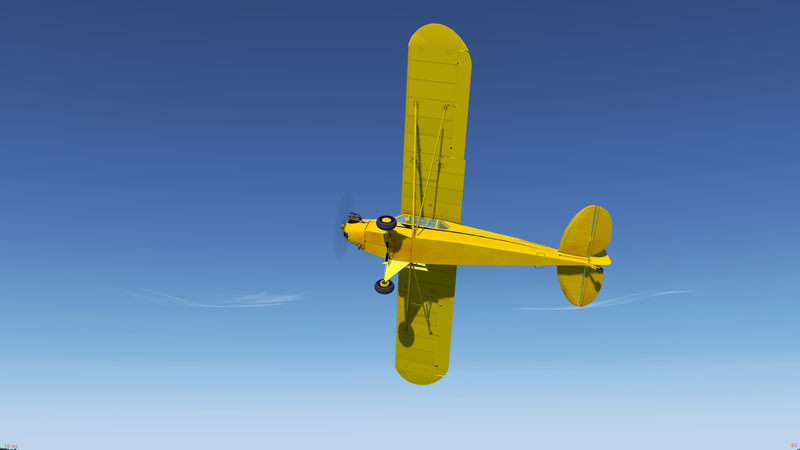 I might be using an old (really old) version of the Cub, it doesn't have a fake shadow. In fact I've always used this version of the Cub for rendering tests because it looks good, uses default materials, has some complex geometry to test edge cases and loads fast. In theory, yes. And also in practice. But the ALS cockpit shadows still look better. Shadow maps inherently suffer from some flickering and aliasing, even if a good filter is applied. They are very stable, but can still be distracting for some people. 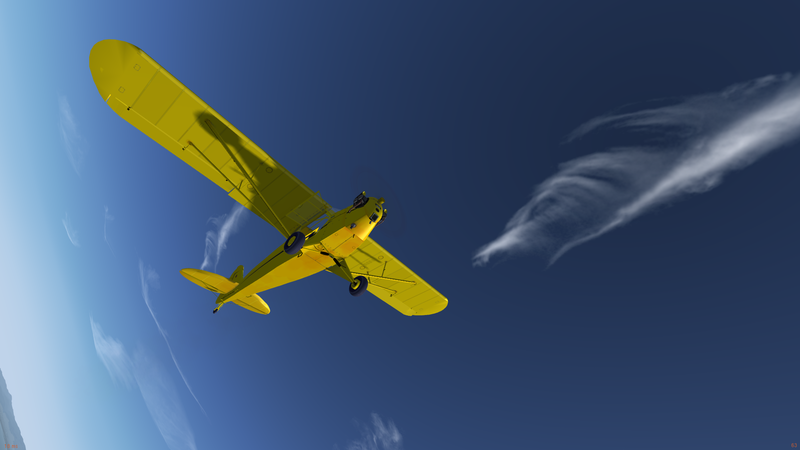 They are a good fallback though if the aircraft doesn't support ALS cockpit shadows. Nope, not as old as you might think. Having the 3d mag switch and carb heat tells me it is relatively current. It's the YASim version which does load fast and doesn't contain any of the slower loading complexity of all the gear and utility change-outs nor does it have any ALS effects. But... we can have the best of both worlds, since we'll keep the option to run opacity map on a surface (which disables the shadow map for it) - so in situations where the opacity map is applicable, we can use it, and otherwise use the shadow map.